This is the second edition of the weekly Citationsy newsletter highlighting changes and updates I’ve made and reaching out to the community. If you don’t want to receive these emails, simply click the link at the very bottom to opt out. Clicking the little i on the left of each reference will copy the in-text reference to your clipboard, ready to paste into your text. Next to it are the same edit and delete buttons that we had before, but I’ve opted to make them permanently visible as people were reporting having trouble discovering them. Clicking the big “Copy + Paste” button on the top right will copy the entire bibliography to your clipboard (same as before). If you click just one reference it will select the whole reference, ready for you to copy it. 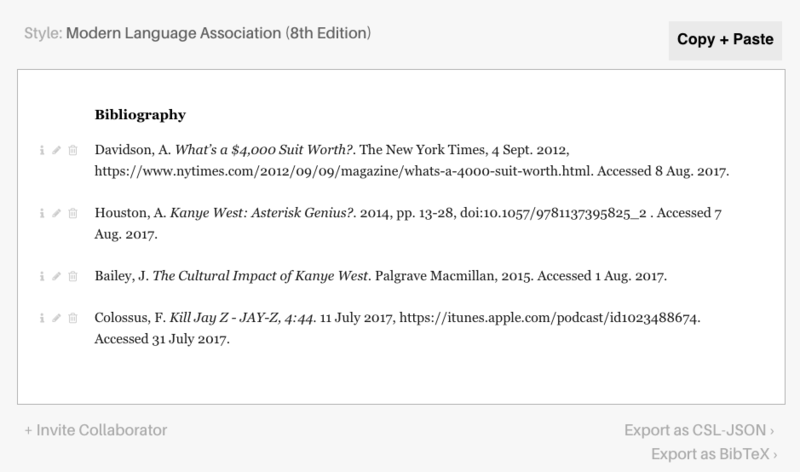 I have also begun writing the Citationsy Mac app, and am thinking of adding a Windows app too. Would you like to give it a test spin before I release them? Email me.